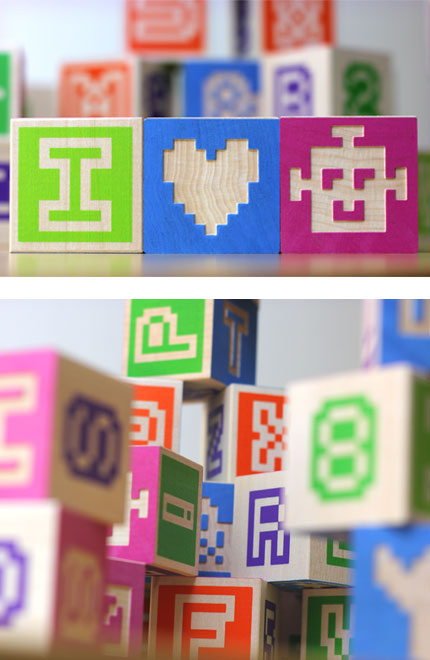 We created the these fonts for our Bitblox alphabet blocks. They were inspired by the low-res pixel lettering seen on the computer screens and in video games of yore. The fonts are guaranteed to induce flashbacks in anyone who’s been exposed to consoles / terminals / IBM / DOS / AS/400 graphics in the olden days. REGULAR is the basic type, the vanilla flavor of the group, and is contained within a 9×9 pixel grid. 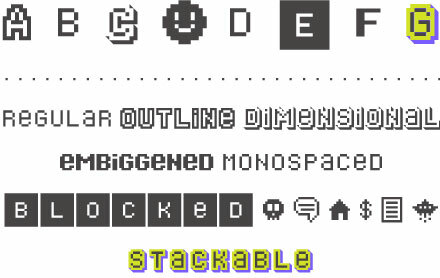 OUTLINE is built on an 11×11 grid and layers up with the Vanilla style to create fun two-tone type! MONOSPACE is a tabular version of the original Vanilla style. Robots (and programmers) like this style the best. STACKABLE is a combination of Regular, Outlined, and Dimensional allowing you to create colorful color-ways that are perfectly aligned. That’s right — these great fonts are yours free when you buy a set of our wooden alphabet blocks. Bitblox are a limited-edition exclusive, so order your set today! Do you want more details? 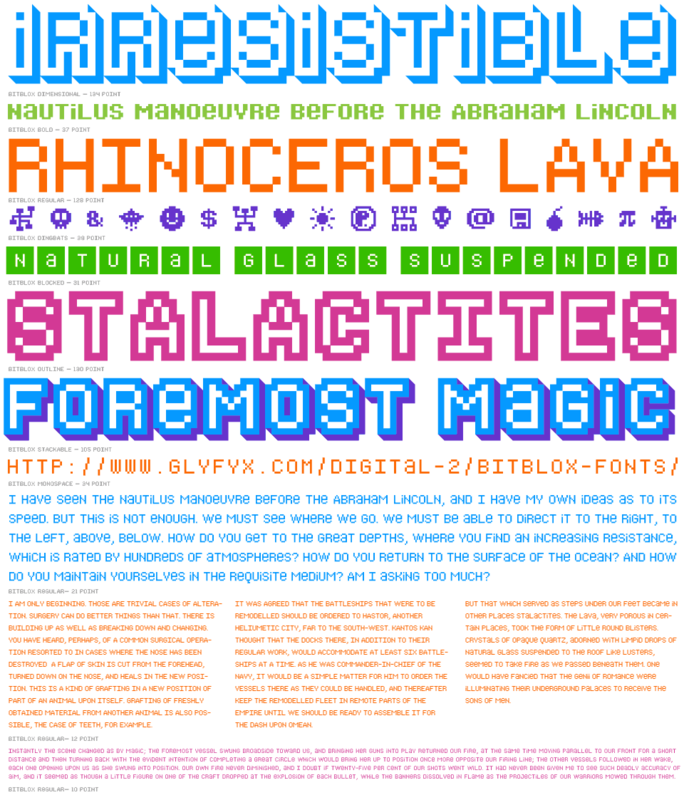 Just download the PDF specimen for Bitblox to view the complete character set for all 8 fonts.